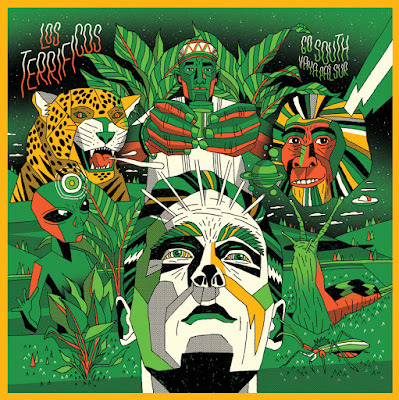 Los Terrificos is a new project from Ray Lugo and Jake Fader, former bandmates in Kokolo Afrobeat Orchestra. Their first album (actually 14 songs on a set of two 12-inch 45 RPM discs) “is a soundtrack that has no film (yet)” according to Jake. This atmospheric session is a series of primarily instrumental vignettes influenced by a variety of Central and South American genres, knitted together with highly organic dub and electronica. Track 7 reminds me of Novalima or the current incarnation of Sidestepper: warm, natural electronica rooted in South American traditional music. 12 is another roots-based track, this time Andean, but faster and with a touch of psych. 6 is downtempo funk with cool French vocals, kind of a Latinized Nouvelle Vague. 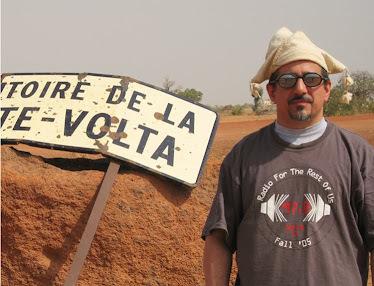 8 is a slice of Latin soul not far removed from Lugo’s Boogaloo Destroyers project. 10, with its elegant guitar line and midtempo pulse, could be right off one of the last two records by Colombia’s Bomba Estereo. And 4 is inspired by chicha, the amazing Peruvian psychedelic cumbia of the 60s, 70s and 80s. This masterful essay on Latin sounds makes for great background listening, and it’s even better up close.